a selection of some of my favourite images from the wedding of Michelle & Lorcan Dunphy married in Carrigaline, Co. Cork, Ireland in July 2010. Irish summers are becoming typically wet, but the show must go on! Oh… so so pretty. I am loving this blog. I learn so much from the amazing photographers here! I especially am loving the way that this gorgeous series is capturing the emotion of the day. It feels so beautiful and intimate. I have heard that rain on a wedding day brings tons of good luck and happiness to the bride and groom. What beautiful images — nobody would have guessed that is was a rainy day. These are fantastic. I love love the black and white…they are SO crazy rich! The church shots are spectacular. Really liked this black and white collection of photos. Lovely photos! that makeup case shot is incredible! great catch! I think the umbrellas added a unique touch to the wedding! Let in rain. Incredible photos … just love Ireland in the rain. Magic and romance … love these photos. Great Images — especially that spectacular church. Bravo! Oh, the luck of the Irish is all over this amazing wedding story. Beautiful photographs! Very, very nice! 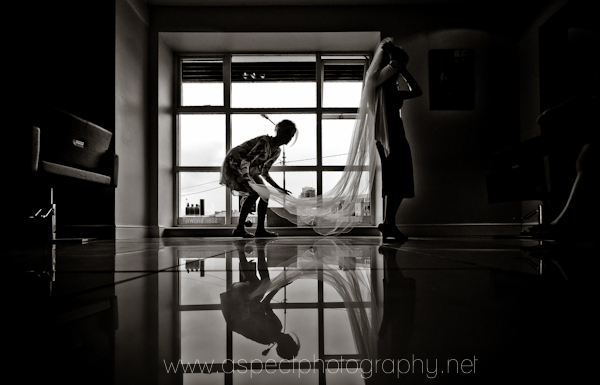 Although it may have been raining, these shots of this wedding and Ireland are magnificent! Thanks so much for your continued blogs — I love them all! You did a magnificent job of including the rain in the wedding story. Nice work. 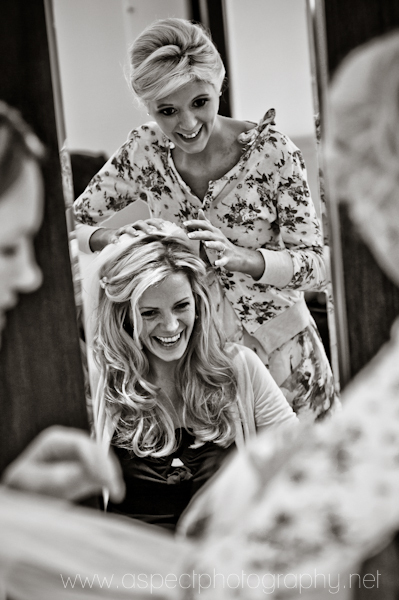 Splendid wedding images in black and white. Great angles and light and use of natural light. Being a lady from Grenada (which I was convinced was the most beautiful place on earth) … you have convinced me that Rainy Ireland tops paradise. Beautiful and enchanting photographs. romantic atmosphere as in a fairy tale, light, colors, flavors and delicate for a wonderful wedding, surrounded by a landscape of mountains and lakes. I miei complimenti Luigi, immagini stupende e suggestive! mi piacciono molto. Very nice work. You captured so many different emotions, locations and situations, well done. Absolutely gorgeous photos. Love how you captured the many important emotions of the day! Congrats! Thank’s to everyone for the compliments! Very nice! Love the black and white pics! More spectacular work. Thanks. Loved these wedding photos. Absolutely love the photo of the bride sitting in front of the majestic mountains. One of your many photos that will be treasured. 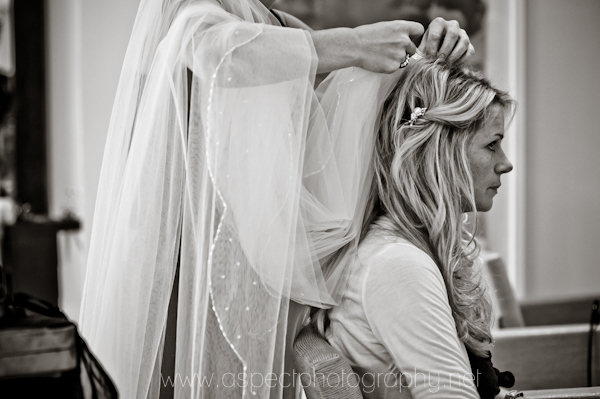 A beautiful wedding story — especially enjoyed the two last photos in black and white with the bride’s veil blowing in the wind – such dramatic imagery. Simply gorgeous — magnificent shots — with a wonderful background of mountains and lakes. So romantic. Magnificent — like the natural shot where the bride has tears of joy — you really captured all the emotions of the day. What a terrific location — Italy — for a wedding. Great photos. This truly is a fairy tale wedding, thanks to your excellent photography. No matter what anybody says, I am a romantic at heart and #11 is my absolute favorite — the soft photograph of the bride and groom kissing. Fabulous. Spectacular shots — all that greenery and natural light and beauty. Those outdoor shots are amazing! Sei riuscito a cogliere quello che io non avrei mai visto, a due passi dal mio studio. Come al solito, gran bel lavoro Luigi….emozionare, emozionare!!!! Random Images from the last year. In celebrating another year added to my life I created this slide show of images I created over the last year. To view the show click on this link. Pyramids, old markets and camels: a dream wedding in Cairo! There is nothing more amazing than shooting a destination wedding on a location you have dreamed about all your life. When Deena and Nawaf contacted me from Philly, I could never imagine I would be the one chosen to shoot their wedding in Cairo. Both of them had a connection with Egypt and it felt just natural to organize the whole wedding at Deena’s uncle’s gardens in the outskirts of Cairo. Not an easy task to fulfill from the US, but in a matter of weeks, everything was ready to go. My second shooter and I flew in three days before the wedding from Stockholm and we had the chance of getting to know this wonderful couple better when we shoot their couple shoots on the day they got legally married. We spend the day in Cairo’s market place, in Old Town, as well as by the Great Pyramids, at sunset. In Egypt, getting legally married is not the most important part of the wedding. What really matters is the religious blessing given by an Egyptian priest and the Zaffa, the famous Egyptian musical-dancing procession followed by lots of good food and dancing, dancing, dancing, all night long! Too many wonderful pictures to be posted in only one post, so I’ve divided the four days we spent together into many smaller posts. To see them all, please visit the links given under the pictures! What an amazing wedding and amazing photos!!! Cairo — such a new and diverse location for a destination wedding. Thanks so much for sharing these images, Julia. Inspirational and beautiful, Juliana. I just checked out your profile and your website. You are an amazing photographer. That is so cool. Love the pictures. Never would have thought of shooting there. Opens the mind up to the possibilities. Thank you for sharing. Really enjoyed these images. Thanks for sharing. Oh, so very romantic. I am loving the emotion in these photos. I feel like I know this couple intimately after viewing just this short series. Like a novel in pictures. Beautiful. Cairo is amazing … due to your exceptional photos! Thanks! What a beautiful wedding story. OMG — amazing photo shoot. I want so much to be them — so romantic. You displayed and cpatured so much romance in the photots. Thanks for sharing. Just loved the brilliant ring shot amongst the terrain. Fabulous technique. I was captivated by your ninth photo — black and white on one side merged with color on the other — very nice. The first shot looks like something from out of a fairy tale — the couple walking towards the pyramids at sunset. Lovely. I have never visited Cairo … and thank you so much for sharing such beautiful photos and culture of the pyramids and old town. My very favorite is the last photo — not only the natural joy on the bride and groom’s faces — but the amazing cultural background. 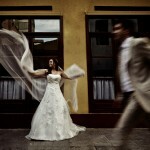 Thoroughly enjoyed these wedding photos in Cairo. Wonderful background and joyful bride and groom. Absolutely amazing photography of both the wedding and the location. You inspire me! I am traveling to cairo next month. And I wish to have some picture taken around the city for one day during my stay. Do you provide such photography services? how much is it? My latest couple was a young couple from New York of U.S.In fact Marina is Greek but live also in N.Y almost a decade.They are both musicians and they decide to married in Greece in Thessaloniki.We had couple shots in preparation and after that we went to some popular locations of Thessaloniki for shooting before the ceremony. and the reception. Thanks Marina and Alexei for your co-operation and i hope we can get also some images at N.Y in the near future.LOL. What a beautiful and perfect place for a destination wedding! 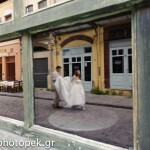 You will probably have many couples interested in arranging their wedding in Greece. I just love the photos, especially the one of the bride and groom walking along the pier as the sun was setting. It’s not as beautyfull as the islands but yes…its prety nice i think. Beautiful place for a wedding. Nice details and great photos with sunset. Beautiful images! You really have a style that captures the full emotions. I am captivated with your second last photo … on the dock … with the bride and groom … with the sun setting. The colors that your captured are breath taking. Andrea and Jeremy thanks a lot for your comments. Aaron…new lightroom 3 and a litlle of viveza2 and voila. Love the first photo of the shoes. What fun! The quality of this wedding photography is just amazing. I am so inspired and can’t wait for the weekend for my next shoot now my head is filled with so many ideas. thank you all for your nice comments.Hey Jonny hope i am gonna see you next Jan in swpp convension.I have my own masterclass there. 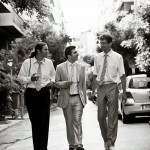 Makes me want to get married all over again — in Greece. Beautiful, beautiful photos! Wow …. wonderful photo shoot .. enjoyed every pic! My favorite place .. so much more favorite by looking at your inspirational images. Thanks so much!! Really LOVE Photo#8 — beautiful and fun! Way to go! I could not help but comment on the photo with the green lighting of the bride and groom facing each other. Brilliant! Nice work — my fav is the 2nd last picture — the sky was so spectacular. Oh my … #8 is the best … with such vivid and amazing colors. I am certainly enjoying all the culture and locations from around the world. These photos in Greece are magnificent. You know … I cannot even pick one favorite. Just loved all of your photos … and can hardly wait until your next blog. thank you all for your comments…i would love to make a destination wedding in Us. I’m becoming of fan of your work. This is the third wedding I have enjoyed viewing. Again, very beautiful. thanks a lot Teresa for your comments.